Manufactured in the UK to, and certified BS 1139 PART3 1994. 3T Specification latest method of construction. Patented colour coded brace hook for the most secure grip. Integral ladders with 250mm rung spacing built into the end frames for safe and easy access. Ribbed rung tubing for non slip grip. Freestanding maximum height of 30mtrs (anything over 30mtrs would have to be anchored in). Confined space safety stabilisers supplied as standard. Lift Shaft Towers are light-weight scaffold towers that can be used throughout the building and lift industry for both indoor and outdoor access solutions where a stable and secure platform is required in an area without a safe place to work at height. 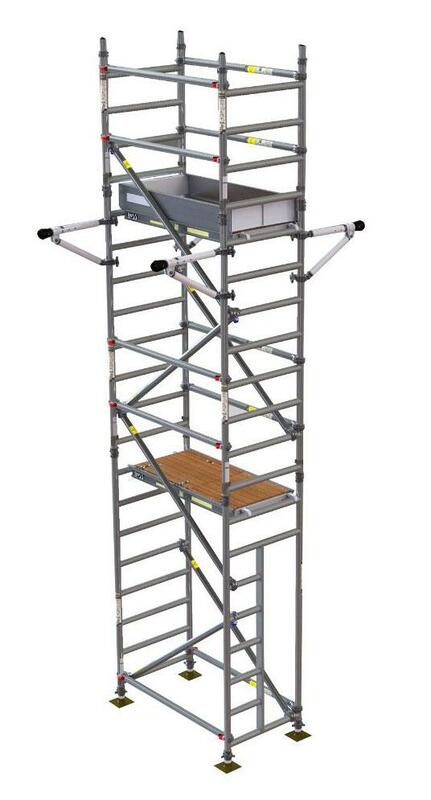 They are Ideal for maintenance and installation work or short-term access, and are highly versatile towers that provide a strong working platform for a variety of heights. The small dimensions of these towers means they are perfect to fit within confined spaces and lift shafts. We also provide an erection and dismantle service for customers that don’t have a PASMA trained individual within their company. The law requires that personnel erecting, dismantling, altering or inspecting towers must be competent. Any person erecting the product described in this user guide must have a copy of this guide. 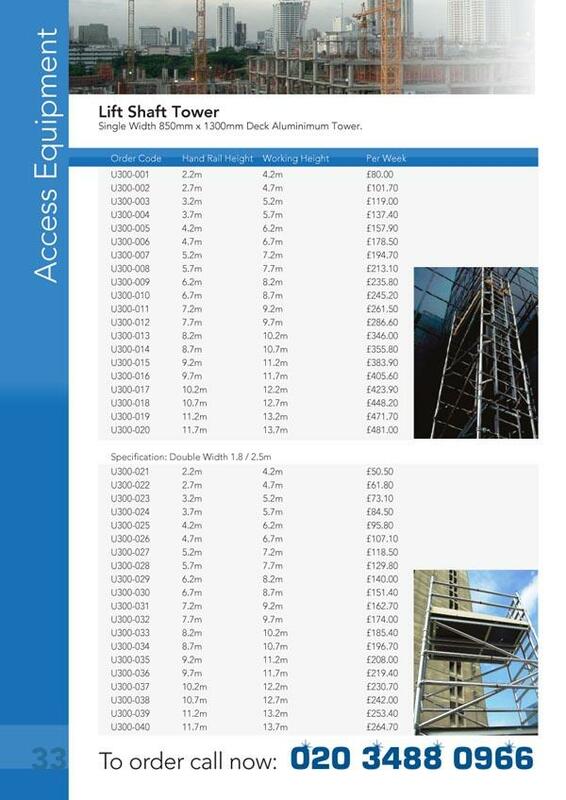 For further information on the use of mobile access and working tower consult the PASMA operator’s code of practice.